6 mile, 4 mile, 1 mile, and Tiny Tots Kids K! What better way to give thanks and celebrate this Thanksgiving, than a morning with your closest friends and family! Run, Eat and Give Thanks! 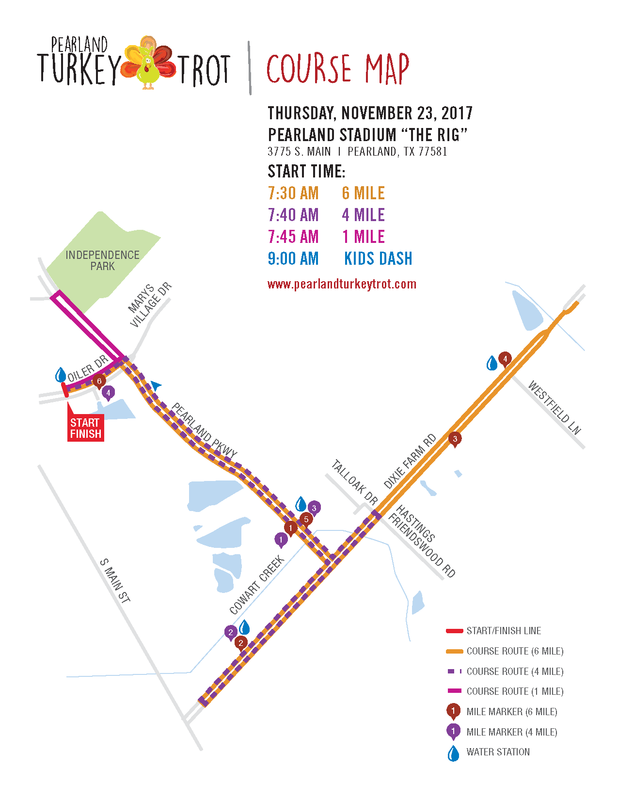 Pearland, Texas – a quiet town just outside of Houston, is the proud home to the 2nd Annual Pearland Turkey Trot. Turkey Trots have been part of the American Thanksgiving Day tradition dating back to 1896 with the founding of the Buffalo New York Thanksgiving Day Race. Over the years, many communities and organizations have joined in this wonderful holiday ritual, and Pearland, Texas is proud to be the home a growing tradition in 2017. There will be race day packet pickup available at the race day registration tent! The tent opens at 6:30 and will close at 7:20 AM. Plan accordingly and be aware that there is a possibility of a wait time. 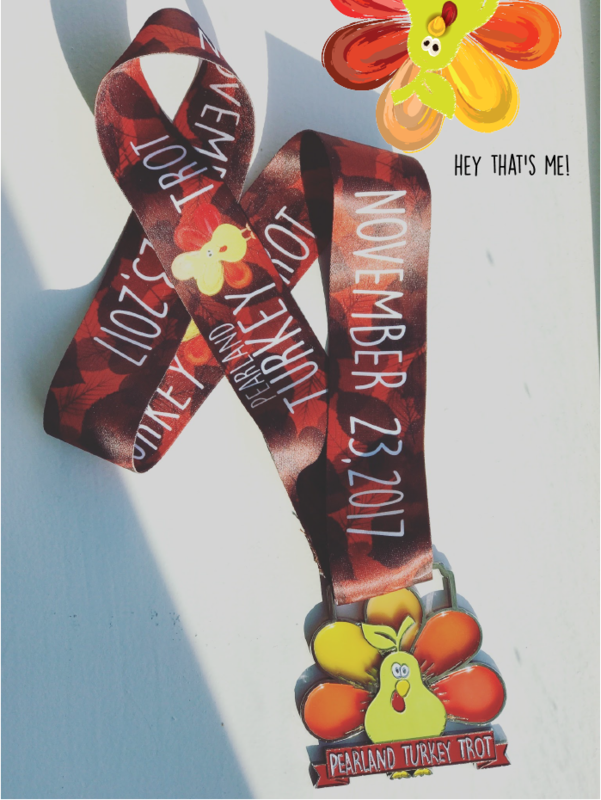 First place finisher in each age division will receive a commemorative award. All finishers will receive a commemorative medal and participant shirt. There will be no awards for the 1 Mile Walk.